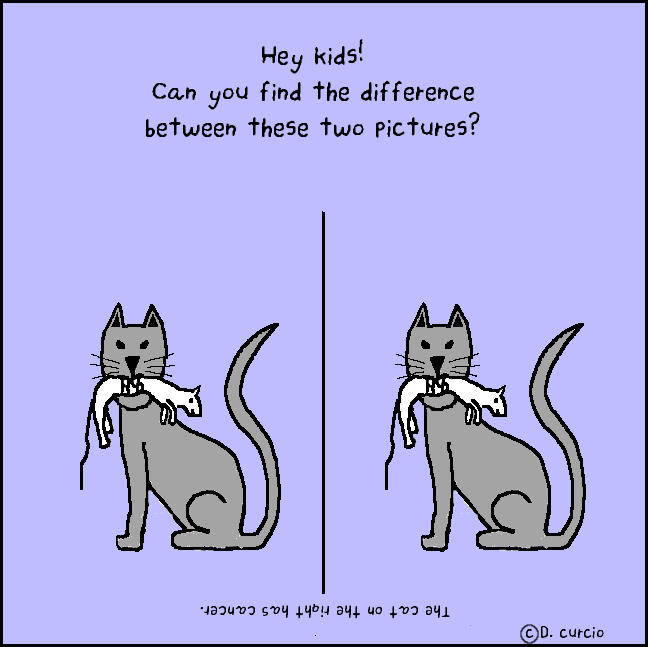 When I was a kid I always did those cartoons where you had to find the differences between to seemingly identical pictures. It always frustrated me because they were either to easy or ridiculously hard. This cartoon is my revenge.